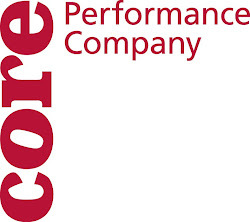 CORE Performance Company: yay friday! the below video is corian's solo phrase. the directions for this solo exploration were the same directions used for the duet phrase. these phrases came after our work in the morning creating the duet phrase. for my phrase, the idea i was using for my solo "phrase" (which is more of an exploration) was that on our actual wall, in the studio that we drew on earlier this week, there is a small section of small concentrated "sqwiggles" and circles that create this dense cloud of black. the density and energy of that small portion of the wall is quite fascinating to me just because it is such a small statement, but because it is so highly concentrated...the impact of it is very impressive. so the idea i was playing with was how to i can be small and concentrated, like that section of the wall, but slowly allow that small movement to inform the rest of my body. in essence, it is a chain reaction...but once the energy actually ends up "exploding" i allow it to slowly circle back to the beginning, instead of allowing it to run rampant. that is just a small glimpse into what i was working with...because i feel that the nugget of information i was working with could be more fine-tuned (but so can anything you work with). however, i am also content in letting that movement phrase/idea exist on its own. and that folks...was the rest of the work that we did yesterday afternoon while the rest of the group worked upstair on "Tus Pasos." so on today, friday...we have been working with Sue, and she has been manipulating our duet phrase material into a "duet" that may...or may not...exist in the actual dance. however, it is all part of the bigger picture and process of us becoming comfortable in the material, and with Sue becoming more familiar with the way we (the newer members of CORE) move. on that note, it also works in reverse...since this is our first venture with Sue at the head of it, we are also becoming more familiar with the way she choreographs on us as her dancers. well everyone...that's all for this week. hope you all have a great weekend and a happy halloween! see you all next week! this is some great stuff. i'll definitely check back to see where this goes.